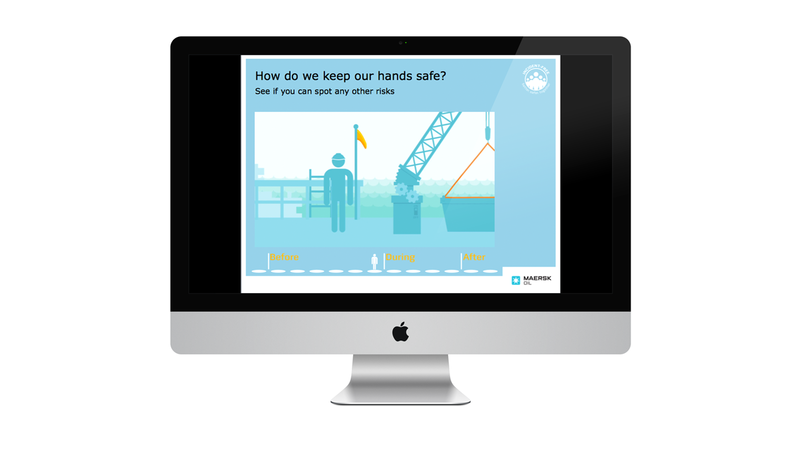 Maersk Oil had Health and Safety issues surrounding a selection of common topics amongst large O&G companies, such as; Hand Safety, Slips Trips and Falls; COSHH; Workplace Stress; Dropped Objects, and so on. 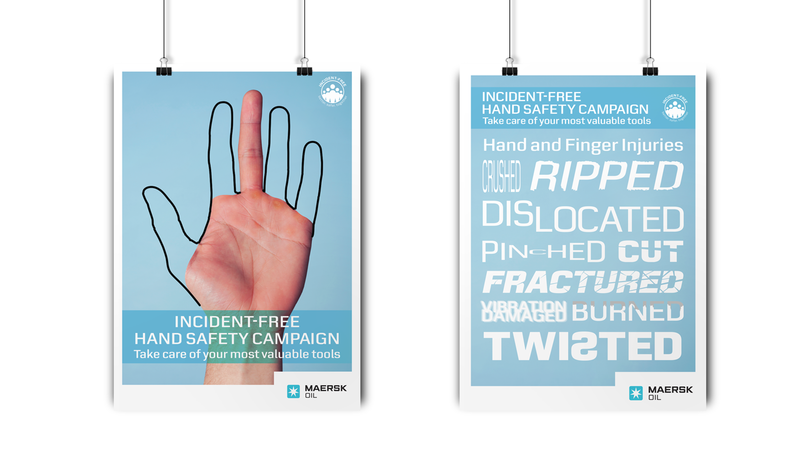 The need was to create a creative, hard hitting campaign that could be rolled out across various mediums to make sure a significant change was seen in the reduction of hand related injuries. The majority of the audience will be offshore workers, but there will be other audiences, including On-shore job roles, office workers, and suppliers/contractors. 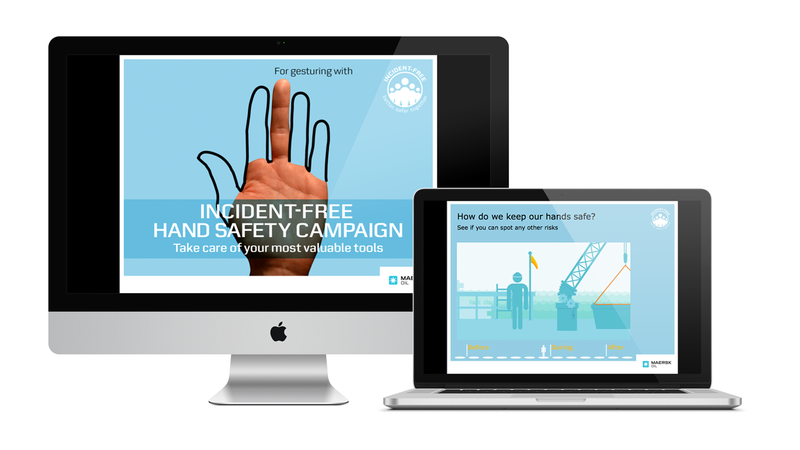 A common characteristic of all audiences is that they can suffer from ‘safety fatigue’. The safety culture is drummed home with such insistence that it creates delusions of immunity from accidents. In short they become complacent. Many of the audience automatically go into a ‘switch to receive’ mode and need to be worked hard to get them to contribute. There is a view that confronting the audience with the reality of hand injury could help the message stick. In the words of one OHS ‘The more realistic the images, the more likely it is to hit home’. 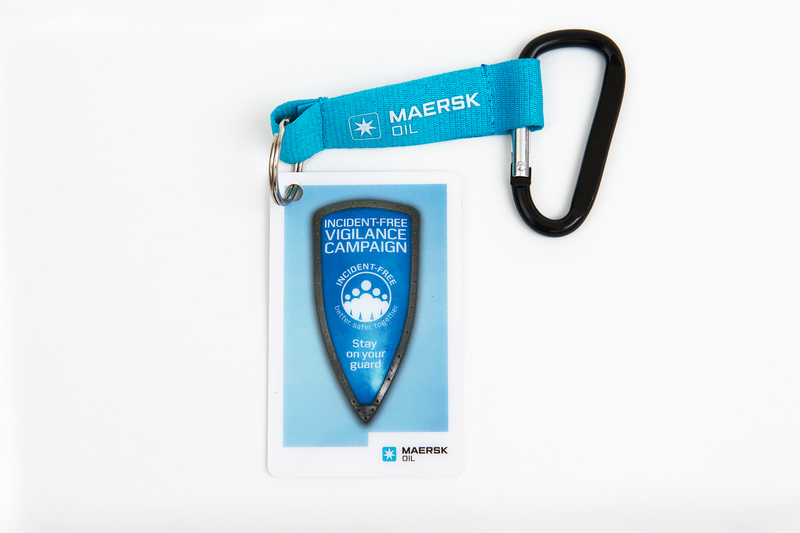 We require a presentation flexible enough to be tailored to different audiences. It needs to shake the audience out of ‘safety complacency’. It must allow the team leader to ‘coach’ information. It would help to make the message real rather than abstract. 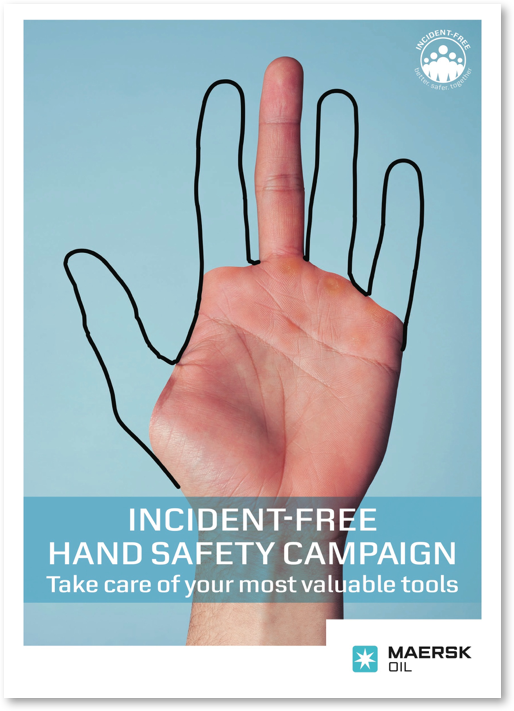 It may also help to visualise the impact of hand injury on home as well as work life. Effort should be made to change behaviour and prompt action. We like to summarise the key thrust of a message into a single sentence to provide direction for our creative stance. This will encapsulate the thoughts that ‘it can happen to you’; ‘Consequences are severe’; and ‘It will alter your whole life’. A momentary lapse in safety can have lifelong consequences for your home as well as work life. Copy: A serious hand injury can impact your home life. Don’t wear jewellery at work. Copy: A serious hand injury can make life more difficult than you think. Make sure you keep yours safe.